A complete assessment of the efficacy and safety of sacubitril/valsartan for hypertension is not available yet. Therefore, we performed a meta-analysis of randomized controlled trials (RCTs) by incorporating only RCTs including patients aged > 55 years in which the antihypertensive efficacy and safety of sacubitril/valsartan were compared with those of a reference drug (comparator). 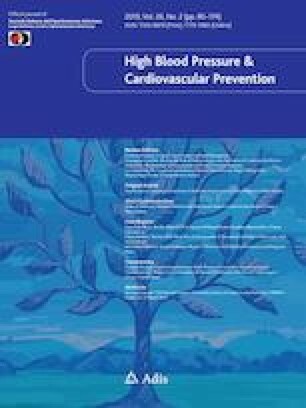 The mean reductions in systolic blood pressure and diastolic blood pressure in the sitting position (msSBP and msDBP, respectively)were assumed as primary efficacy endpoints. Even mean reduction in ambulatory systolic blood pressure (maSBP) and ambulatory diastolic blood pressure(maDBP), were explored. Adverse events (AEs) were taken as safety outcomes. Five RCTs were included for a total of 1513 patients for analysis. In all studies, the comparator drug was an ARB (valsartan in two cases and olmesartan in the remaining three cases). Compared with ARBs, after 12 weeks there was a significant reduction in msSBP (weight mean difference [WMD] = − 5.41 mmHg, 95% CI − 7.0 to − 3.8; P < 0.01), msDBP (WMD = − 1.22 mmHg, 95% CI : − 2.15 to − 0.3; P < 0.01), maSBP (WMD = − 4.58 mmHg, 95% CI: − 5.62 to − 3.54; P < 0.01) and maDBP (WMD = − 2.17 mm Hg, 95% Cl: − 2.78 to − 1.56; P < 0.01). Comparison with ARBs consistently showed superiority of the antihypertensive effect of sacubitril/valsartan. Therefore, based on the preliminary evidence derived from these small trials, sacubitril/valsartan could be proposed as an elective drug for hypertension in patients aged over 55. The authors Renato De Vecchis and Carmelina Ariano declare that the present article has not benefitted from any source of funding. Author Renato De Vecchis declares that he has no conflict of interest. Author Carmelina Ariano declares that she has no conflict of interest. Informed consent from individual participants was not required for this study.